You are here: Home > eCommerce Journal > New Direction, Future for All Business Auctions – Reviews Anyone? ... these are two of my original websites. All Business Auctions: Was the home base of my consignment business and then it became a provider of eBay related third party software and eBay stores design services. All Business Auctions website gave me the impetus to learn how to create websites in house. This became a priority at the time, simply because outsourcing the creation of our website was a nightmare. I went through so many local developers to get the job done, after two years of frustration and lost money I worked with my partner to develop the site in house. We learned a lot during the process of building AllBusinessAuctions.com on Joomla! This experience gave me a real passion for Content Management Systems and brought a whole new direction and focus to my business. The blog was started as a project to see how well WordPress could perform (I had a blogspot blog at the time)and to learn how the addition of a blog to an existing domain will bring additional organic traffic to the main website. The one two punch worked and would have been an incredible combination if it had been implemented two years prior when I originally commissioned the project with outside developers. Since the main site was finalized much has changed in our business. The consignment operations on eBay have ceased, we are no longer a Trading Post or a Trading Assistant registered with eBay. Changes in the landscape of third party eBay management software providers have impacted our ability to provide the AuctionLogic software and still make a reasonable profit, therefore we have ceased those operations as well. 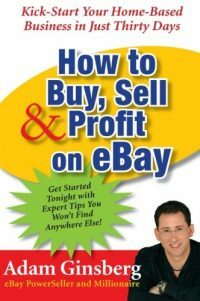 With the changes over the last two years at eBay (much documented here and in many other online publications), running an eBay centric service company became a tenuous and formidable challenge. One that really tested my loyalty to all that I believed about the opportunity that eBay had presented to both myself, and my clients. It was and is difficult to think of the effort and time dedicated to an eBay only business plan. Looking back now it seems obvious that it was pure folly to base an entire business plan upon the whims of another company. In actuality I did not see it that way at the time because I had built All Business Auctions on the vision that we would represent several different third party eBay providers. 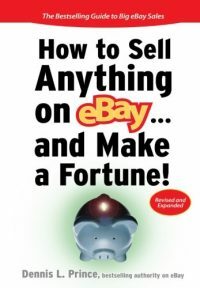 The idea was sound when eBay had a positive growth curve, but after the eBay marketplace changed, so the interest from small businesses. We moved on to form iBusinessLogic another service company more broadly based Internet and Web development company offering web site hosting, Content Management System web development, WordPress development, implementation and training in addition to representing many of the same third party brands in the eBay space as did All Business Auctions in the past. 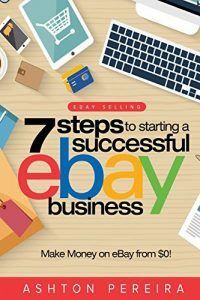 iBusinessLogic is not dependent upon eBay for its revenue stream but we still have clients from the All Business Auctions period who depend upon us to help them to understand the changing landscape of eBay and in many cases to help them focus on creating a company centric branded presence on the Internet. Should I just abandon the name? Should I try to start yet another auctions venue under the brand to compete with eBay? Offer the sites for sale, find someone who wants two ready made eBay focused websites all ready for new blood? There is another option, one which I think could be a great alternative use for these established websites, one which could help the community and allow me an opportunity to explore my penchant for writing. (I really do enjoy writing in the blogs when I find the time to do so). What if All Business Auctions were to become a review site? Offering independent reviews of solutions, software, venues and sourcing providers. The history is there to logically morph the site into a review based Internet resource and since we no longer offer our own eBay solutions the experience gained from those years in the space will provide valuable insight to those just now researching the options for selling online. The site(s) will offer advertising and accept other forms of compensation but it will also offer an opportunity for anyone to add to the reviews with their own point of view. Reviews will not be exclusive to eBay or eBay related solutions. This is a grand plan, and it will take time and effort to accomplish, we have a head start with the websites in place (with modifications, not yet started) but to do this I may need your help. First, I do know that there are other places where this type of information can be found. I would like to hear if there is an interest in a site built to provide reviews with an editorial perspective similar to this site (The Trading Assistant Journal). Second, I would like to know if there are any prospective contributors available? People who have expertise in the Internet business world and would be willing to contribute detailed reviews on any of the above listed topic areas with the goal to possible participate in the project long term. Contact me here if you are interested. Third, This article is a bit of a market test, if you think this is a worthwhile use for the All Business Auctions brand or if conversely you believe I have gone off my rocker, please let me know. 7 Responses to New Direction, Future for All Business Auctions – Reviews Anyone? I come to this blog to read about developments in the world of ecommerce. For that it is very valuable (when you update) and it’s a field that not very many bloggers are focused on. All of your other suggestions? They just sound like re-inventing the wheel, and/or situations where you would be a drop in the ocean. Scott, I am not a big fan of domain names that don’t tie closely to the subject matter. Google isn’t either. I wonder if the best use of “All Business Auctions” might not be as an eBay affiliate site that focuses on B2B auctions. This could be an extremely valuable resource, not to mention a nice little cash generating machine for you. Google likes affiliate sites that have content, not just RSS feeds, so you can load it up with your articles. I’ve counted on the Trading Assistant Journal to keep me and Consignment Pal Resale Directory members aware of cutting edge websites, new software, new thinking, controversies, etc.. You’ve done an incredible job and touched many lives! If you don’t have time for this now, perhaps having guest reviewers and blog posts will keep us informed and your All Business Auctions stats high. I’d be glad to contribute occasionally. Consignmentpal.com is currently undergoing another website redesign to meet the needs of our Amazon, Bonanzle, eBay, brick & mortar stores, and eCommerce members and buyers. It would be sad indeed not to have you around to share it with. Will you be in Atlanta at the eCommerce Summit June 3 – 4? Hope to see you! maybe you just need a break? No, I will not be in Atlanta, but thans for thinking of me! As you can see the TAJ has had to move off of WordPress.com – Something I knew would happen eventually… We may give it a facelift, but for now we are sticking with the original theme and header design to let people know they have found the new home base of TAJ.